Glass & Mirror Craft fabricates glass and metal components onsite and in-house. 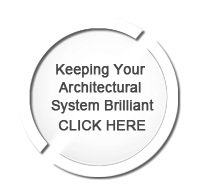 Our seasoned staff of professional architects, engineers, and designers are here to help you craft a safe and functional system. Designing, fabricating and installing architectural glass systems is a very complicated process. Glass & Mirror Craft will support your project from vision to the installation. Our project management team is comprised of engineers, architects, glaziers and other support staff, all here to serve you as a true partner. We’re even on-site for your meetings and installation – and during custom metal fabrication, to verify each component meets your specification and expectations. Glass & Mirror Craft’s support and project management process ensures that your next Architectural Glass project is as smooth as the it’s design.